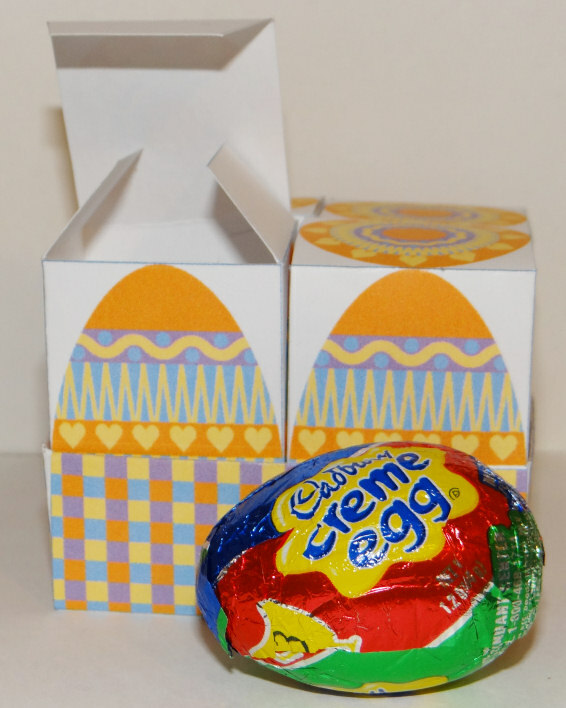 I haven't made a creme egg box yet this year! I hope you enjoy this one. Click the images for larger versions, print at 8x10 inches on card stock. Cut out, score all folds. 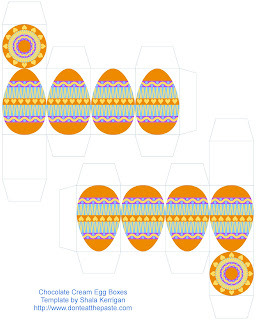 Glue side seams, then glue the bottom tabs of the egg boxes (seriously! 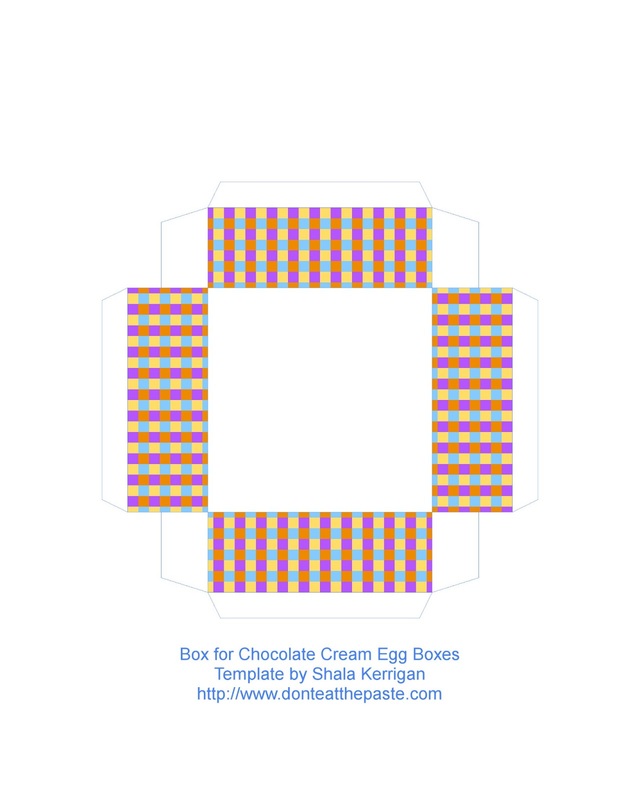 those eggs are a bit heavy), fold top lip of base box over and glue to the inside to reinforce. Fill egg boxes and put them in the "basket". You can find more complete instructions and another creme egg box here. 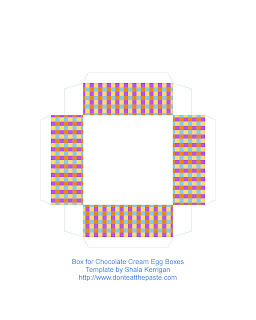 Print 2 of the egg box pages, and one of the base box pages.